Twenty-four hours isn´t long, a taster or tapas for the rest still to come. 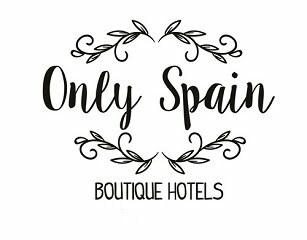 So for my 24 hours on the Spain´s Balearics what would I choose? Where would I go? I´d choose the smallest, least populated of them all - Formentera. I´d take the ferry just thirty minutes and two miles from party island of Ibiza across the calm waters, and be lulled by the waves of the turquoise Mediterranean Sea, to a different world. A peaceful place where the sound of nature precides over the hub of people. I´d explore the caves and the coves, the white and golden sandy beaches and dawdle in the dunes. I´d take off my shoes, there´s no pretense here, no glamour and less high-heels, with few proper roads I´d find myself in the space and peace, relax to the sea lapping on the beaches and eat fresh fish in the chiringuitos. To end a perfect day I´d watch the sunset on Cap de Barbaria with the lighthouse that inspired Jules Verne and contemplate the methalithic rock formations of Punta de Sapedrera. The irregular shaped island has seen the Vandals, Romans, Vikings and Moors tread its shores, these days it´s the smallest and most peaceful of the Balearics with no airport, just 69 miles of natural beaches, cycle tracks and inland lagoons that in the morning I´d explore on foot or by bike. I´d be revitalised, recharged and longing for more, a taster is never enough, it gets the appetite going for mains and desserts. This would be just the start-er. - This is my version of a perfect 24 hours on a Spanish Island. This post was written as an entry for 24 hours on The Balearics contest sponsored by OnTheBeach.co.uk. The prize is £500 in Amazon Vouchers and the contest runs until August 3, 2012. Please visit BeersandBeans.com to learn more about the contest and how you can also enter.